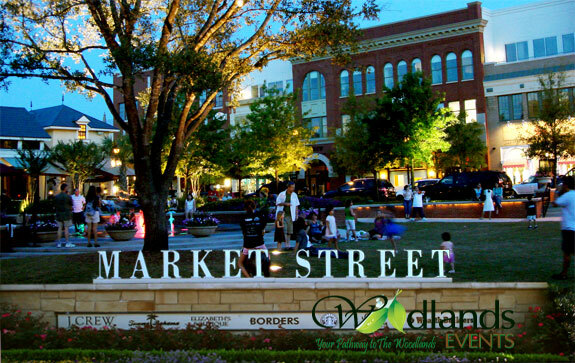 Town Center is the most commercialized part of The Woodlands and is considered by most as the “downtown” of The Woodlands. 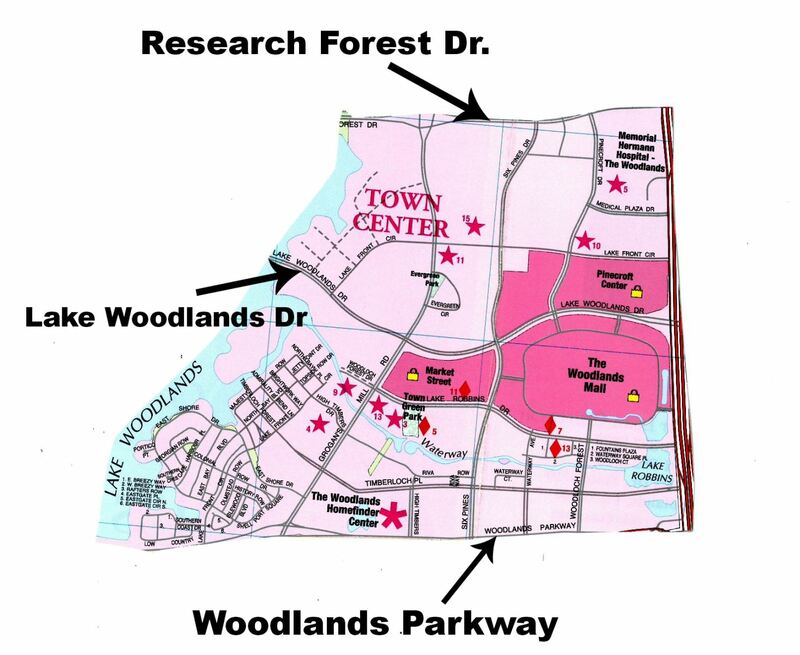 It is located just off I-45 and east of Lake Woodlands. 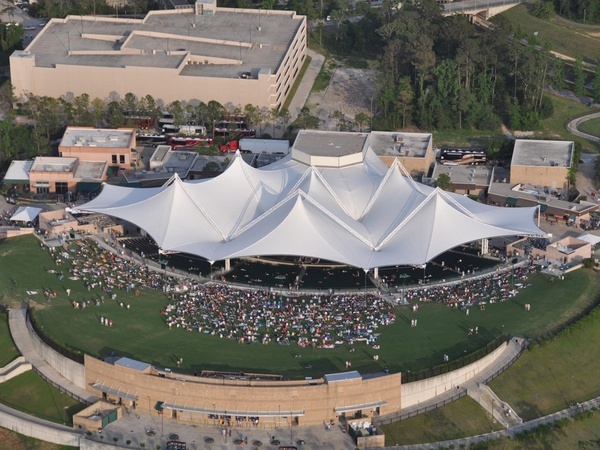 Town Center offers a variety of entertainment options, such as The Cynthia Woods Mitchell Pavilion where an array of artists, bands and entertainers perform. It also houses The Woodlands Mall which holds a number of well known stores like Apple, Macy’s, American Eagle, Williams-Sonoma, Forever 21 and much more. Aside from the mall, Town Center provides another fantastic shopping experience known as Market Street. Market Street is a strip of nothing but incredible stores and restaurants including Michael Kors, Lucky Brand, Ann Taylor, Tiffany & Co., Grotto and Uni Sushi. Even with all the entertainment options, Town Center also houses a variety of offices and hotels, the most well known being The Woodlands Waterway Marriott Hotel and Convention Center. 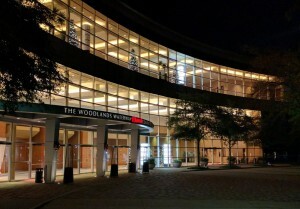 Connecting both The Cynthia Woods Mitchell Pavilion and The Woodlands Waterway Marriott Hotel and Convention Center is the Waterway. This is a pathway along the canal that offers restaurants and parks along the way and is a great place for an evening stroll. 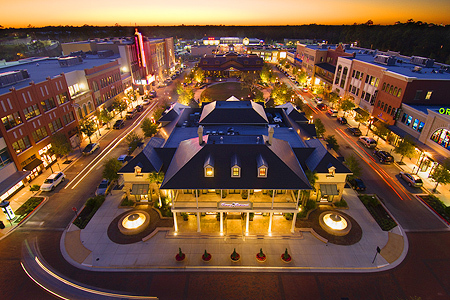 Although it is the hub of entertainment and business, Town Center also offers a variety of lofts, town homes and condominiums with more being added. 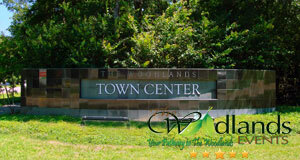 Check out homes or sale in Town Center. 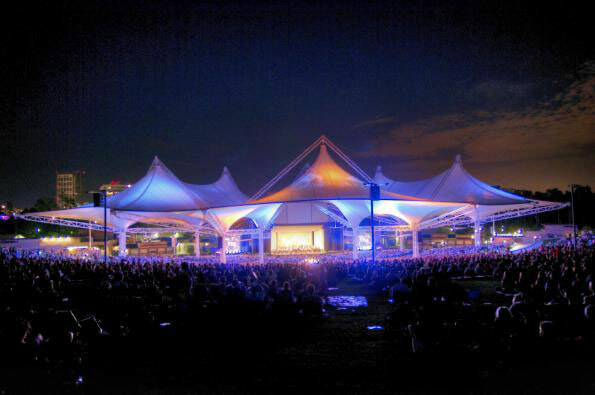 The Cynthia Woods Mitchell Pavilion: Come and see the #1 pavilion in the country. Sit back on the lawn or under the covering and enjoy your favorite artists and bands perform. 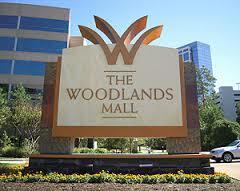 The Woodlands Mall: Come and shop at our two story, 360 plus store mall. 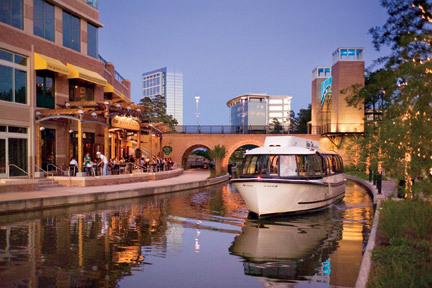 Enjoy the experience of eating on the Waterway at the restaurants right out side the mall. Market Street: Come stop and shop at Market Street. You will be provided with a most unique shopping and dining experience. 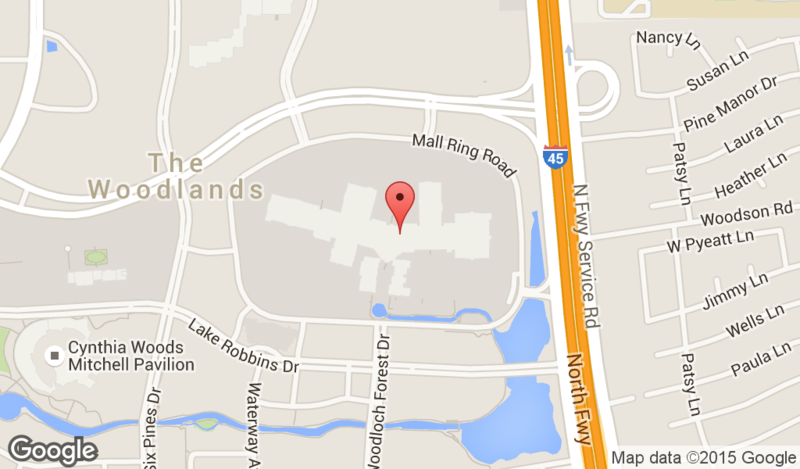 The Woodlands Waterway Marriott Hotel & Convention Center: Visiting The Woodlands? 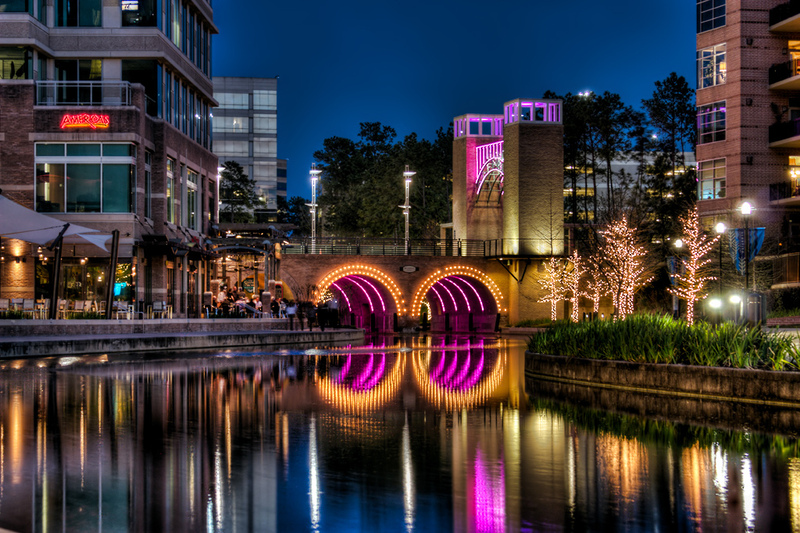 Stay at the Marriot and enjoy a beautiful view of The Woodlands and Waterway. The Waterway: Hungry? 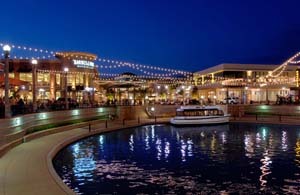 Come and eat at the variety of restaurants The Waterway has to offer and then take an evening stroll along the canal.